The first episode of "The Fourth Estate" premiered Saturday (4/28) as the closing night film at the Tribeca Film Festival. It will air on Showtime beginning May 27. A bracing, real-life thriller with shades of "All the President's Men" (Trent Reznor and Atticus Ross supply the propulsive soundtrack), the docu-series gives a rare view of the day-to-day toil of investigative journalists navigating an unpredictable and ceaseless story. 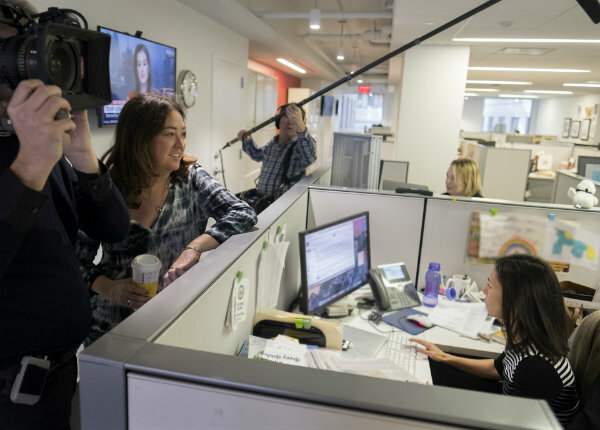 The Fourth Estate is produced for Showtime by RadicalMedia and Moxie Firecracker Films, in association with Impact Partners.